If you get hurt in a trip and fall in North Miami Beach, the Miami personal injury lawyers at the Wolfson Law Firm can help you. Our NMB injury attorneys can begin the investigation into the facts of your trip and fall utilizing the necessary experts to prove your case. We will work with your medical doctors, chiropractors, and physical therapists to make sure your damages are properly presented to the insurance company when it is time to negotiate a fair and complete settlement. If the insurance company fails to make a reasonable offer, our North Miami Beach (NMB) injury attorneys will promptly file a lawsuit on your behalf and see your case through to a negotiated settlement or jury verdict. All you have to do is call the NMB trip and fall lawyers at the Wolfson Law Firm for your bilingual, confidential and free consultation. So call us at (305) 285-1115 right now and let us get to work for you. The main roads in NMB include Biscayne Boulevard, 163d Street, and Dixie Highway. The zip codes for NMB are 33160, 33162, 33169, 33179, 33180 and 33181. The estimated population of North Miami Beach exceeds 43,000. The surrounding neighborhoods of NMB include Sunny Isles Beach, Aventura, North Miami, Golden Glades and Miami Gardens. 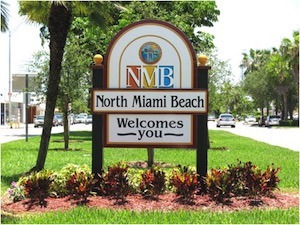 North Miami Beach is often called NMB by many Miami residents. It is also the business center for Miami’s Asian-American Community. On 163d Street in an area affectionately referred to as “Chinatown” you will find Vietnamese, Chinese and Indian stores and restaurants. Everyone has tripped and fell at some point in their lives. Some people feel embarrassed. Others blame their own clumsiness. But sometimes, people trip and fall because of the negligence of a property owner or business owner. When that happens, that negligent owner must be held accountable. NMB trip and fall lawyers can help you make sure that the responsible company, corporation or person fairly and fully compensates you for your harms and losses. Most stores, business and commercial properties have insurance. Most Insurance companies require the companies and corporations they insure to have safety procedures to prevent NMB trip and falls. There are certain duties and responsibilities that stores should do to prevent you from tripping and falling in their store. If you trip and fall in NMB and you are hurt, you should consult the NMB trip and fall attorneys at the Wolfson Law Firm. We can advise you on the defenses these insurance companies will attempt to use against you. Our NMB trip and fall injury lawyers can help you understand what you should know after a trip and fall in NMB. Let us help you make sure you receive full and fair compensation for your injuries and damages after your NMB trip and fall. The NMB personal injury lawyers at the Wolfson Law Firm can help you if you were hurt in a NMB trip and fall injury accident. We can meet with you and discuss your case. 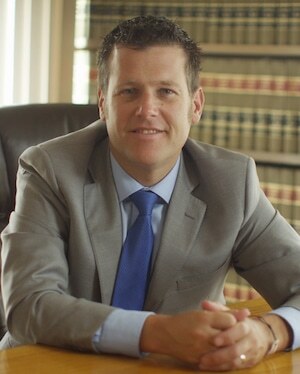 Our Managing Attorney Jonah Wolfson is a bilingual NMB injury attorney. He also served his community as a Miami Beach City Commissioner for eight years. Let Jonah and his NMB personal injury legal team help you. Just call us at (305) 285-1115 and let us help you right now. Our NMB injury and accident attorneys serve all of South Florida in personal injury and NMB wrongful death cases including but not limited to the neighborhoods of Aventura, North Miami, Miami Shores, Surfside, Miami Beach, Sunny Isles, Ives Estates, Golden Glades, Edgewater, Midtown, Wynwood and Miami.